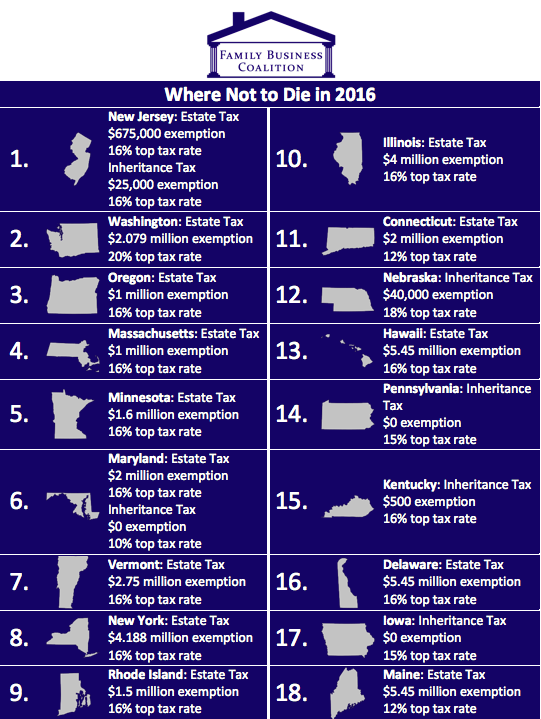 Currently 17 states impose a state estate or inheritance tax. Since 2010 Indiana, Ohio, North Carolina, and Tennessee have repealed their states’ estate tax. You can see if your state has an estate or inheritance tax in the chart below or available here.